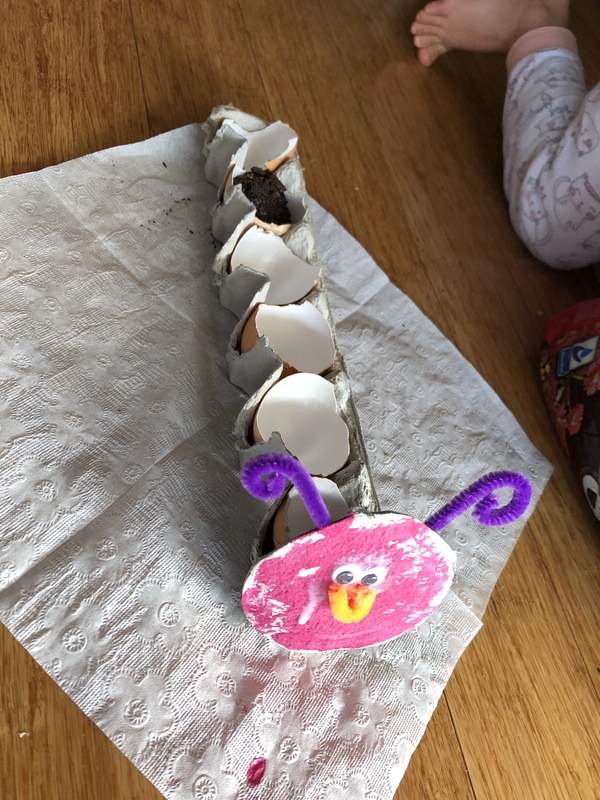 Home / sensory play / Sprouting Seeds in Your Egg-erpillar! We use at least a carton of eggs each week – even more on the weeks we are restocking the snack / lunchbox stash in the freezer! We use the empty cartons for all sorts of activities! 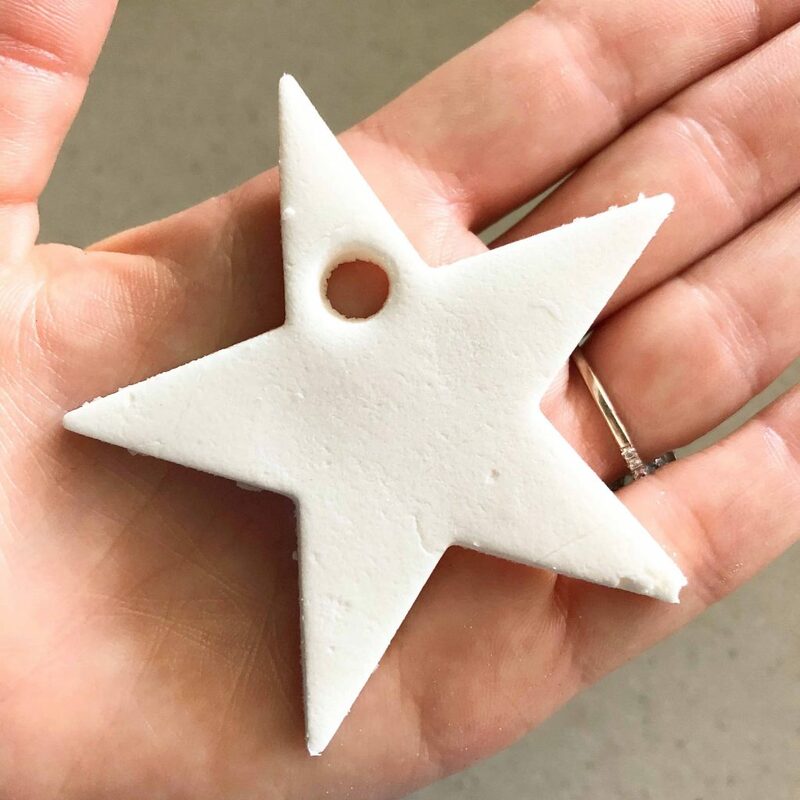 They are great for craft activities sorting, counting, hiding objects in and using to store our pretend eggs in our play kitchen. 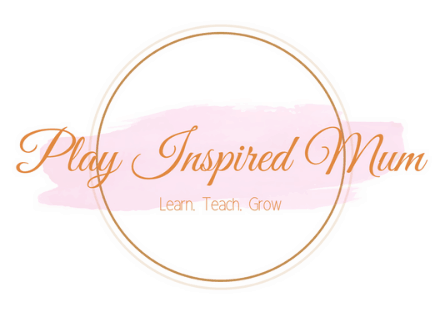 The egg shells however…. almost always are thrown in with the rubbish. This got me thinking. 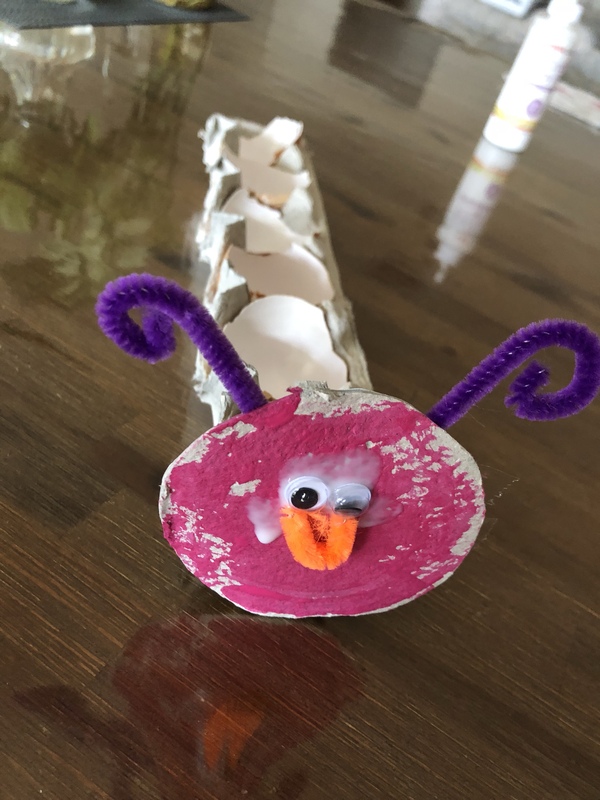 How could we use the egg shells? 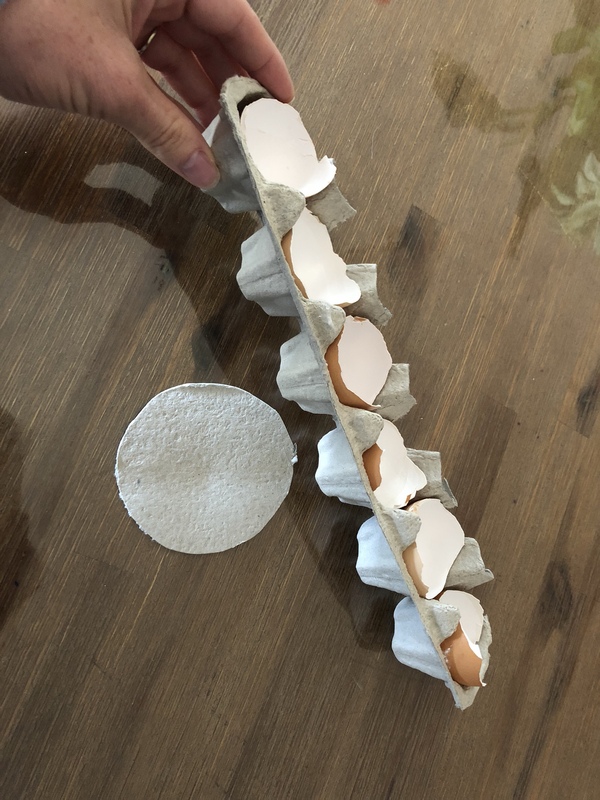 With eager eyes watching, I trimmed the egg carton to leave a circle from the lid and a row of 6 holes form the base. We gently washed out the shells of 3 eggs which would typically been disposed of. Once they were dried, we placed them into the reservoirs. 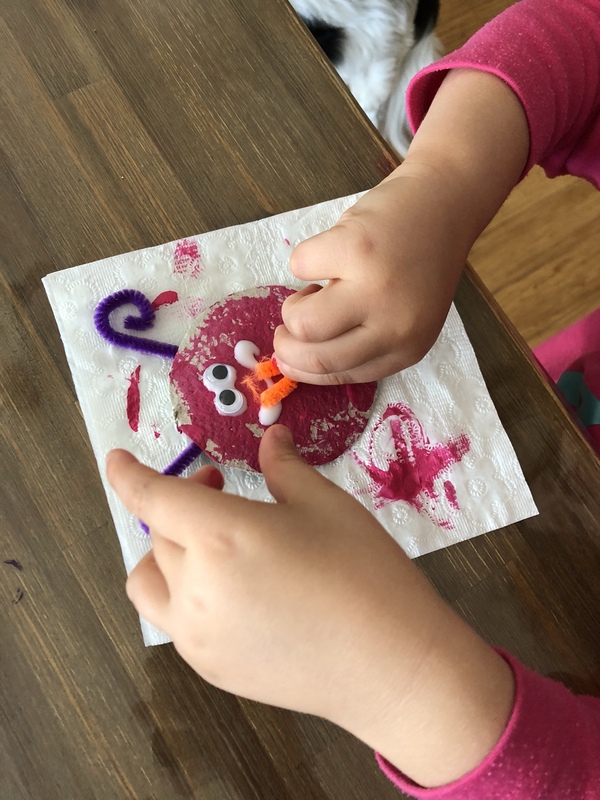 Miss 4 painted the cardboard round in a colour of her choice then decorated it using a couple of googley eyes and small snippet from a pipe cleaner to make a face. We then secured the face to the body using some sticky tape. With care Miss 4 then spooned a couple of teaspoons of potting mix into each shell. 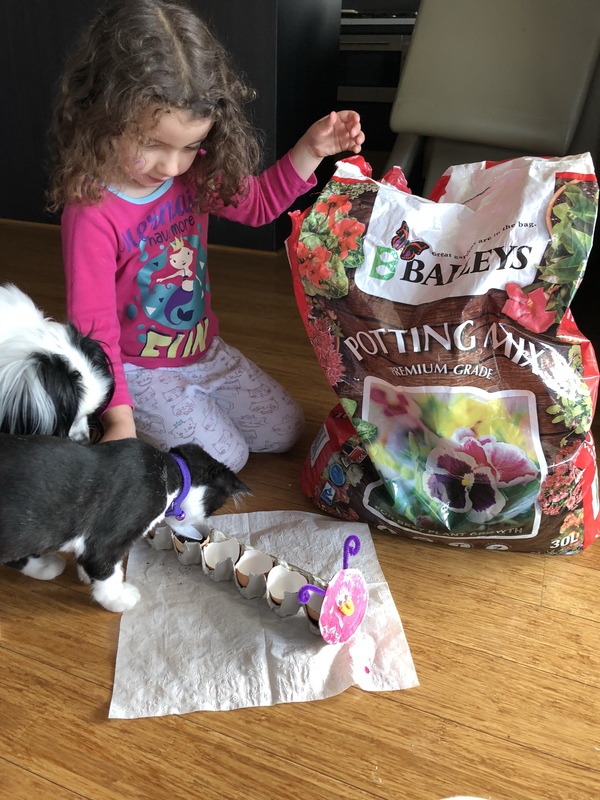 I made sure to put the bag of potting mix on her left hand side to encourage her right hand to cross her midline when reaching to scoop some of the mix. 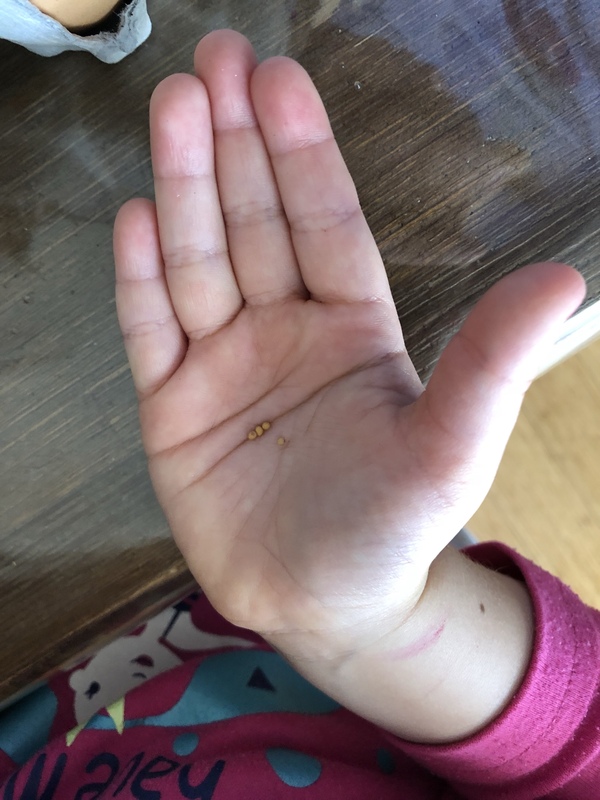 Once she was satisfied Miss 4 chose some mustard seeds from our collection that we have accumulated over the last year. We compared a couple of different types of seeds and before making the decision. 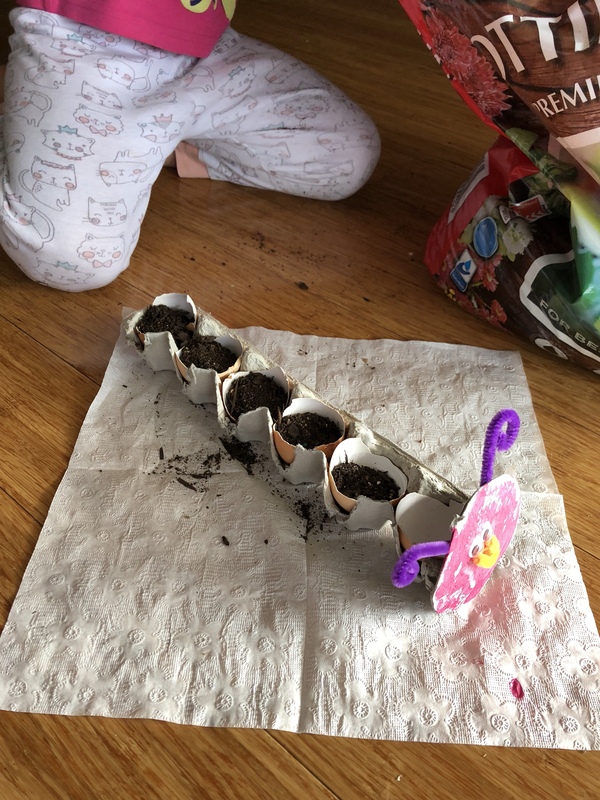 With care, she gently placed a small pinch of the fine seeds on top of the soil in each of the eggs. 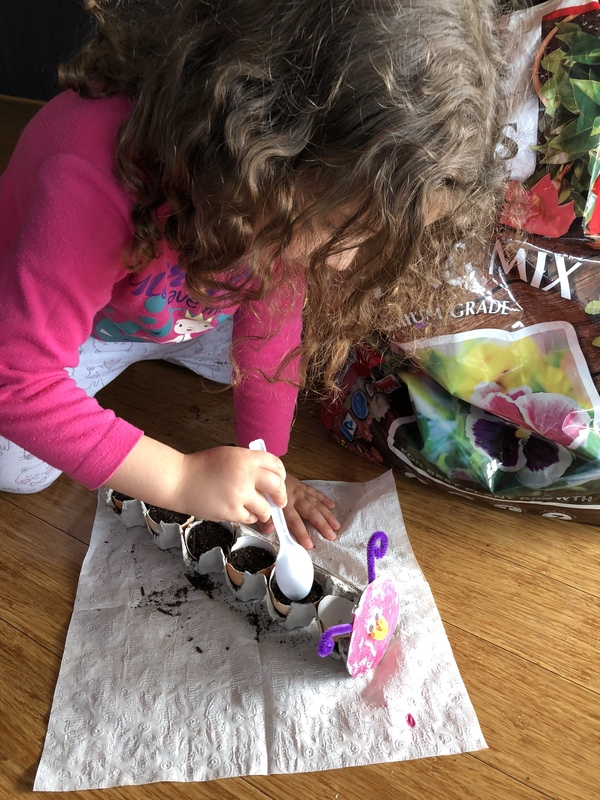 Using her spoon, she gently covered the seeds with a sprinkle of potting mix ensuring they were properly covered. 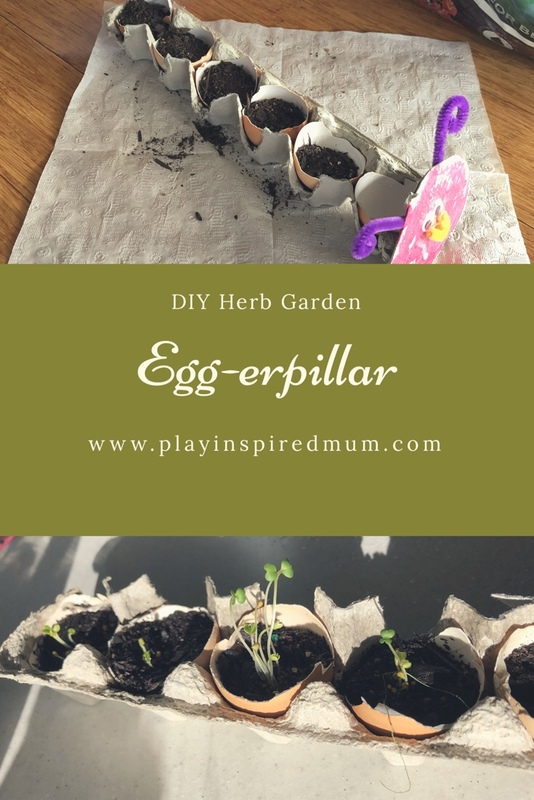 We gave the eggs a good soaking using a spray bottle on the mist setting and placed them in a sunny spot by the window sill. 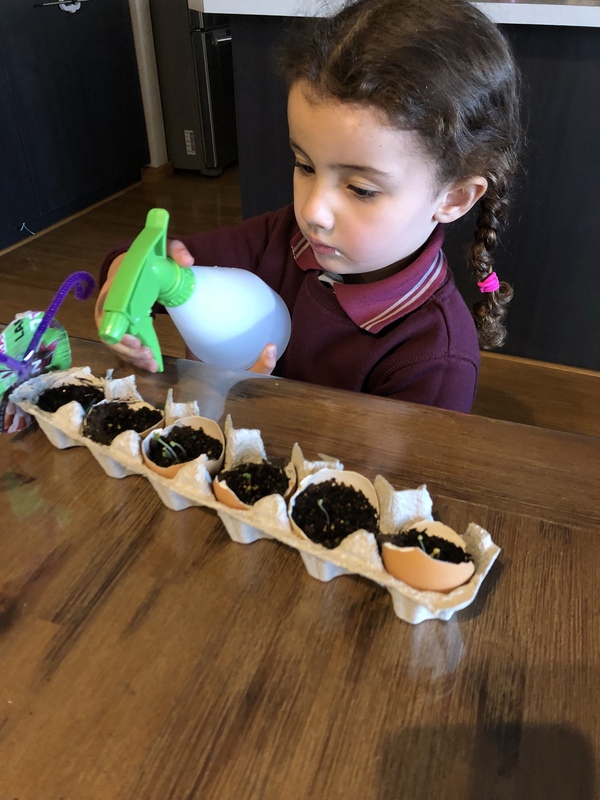 Each day, Miss 4 sprayed the eggs to keep the soil moist without being drenched. It didn’t take long for the seeds to sprout and push their way through the soil. 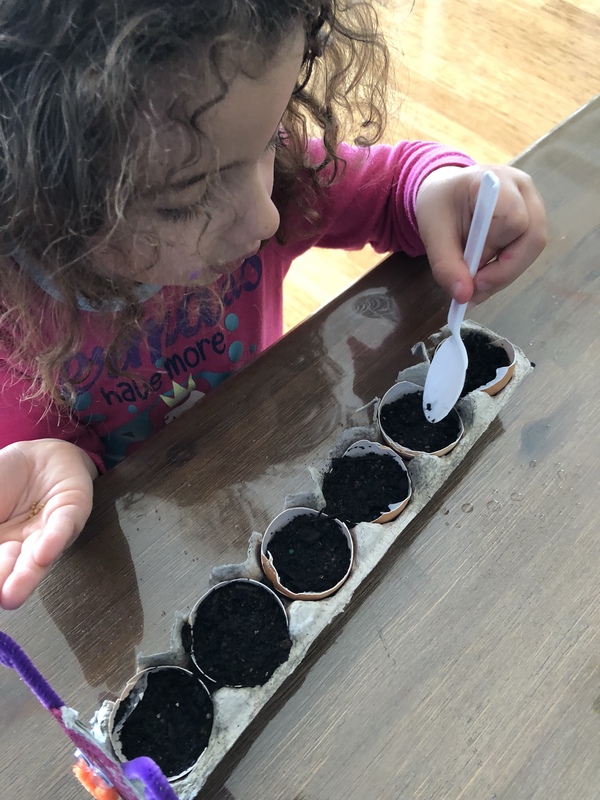 Miss 4 was very excited to see the tiny shoots making their way through the soil. Her patience was being rewarded! We continued to water them regularly and watch them grow. 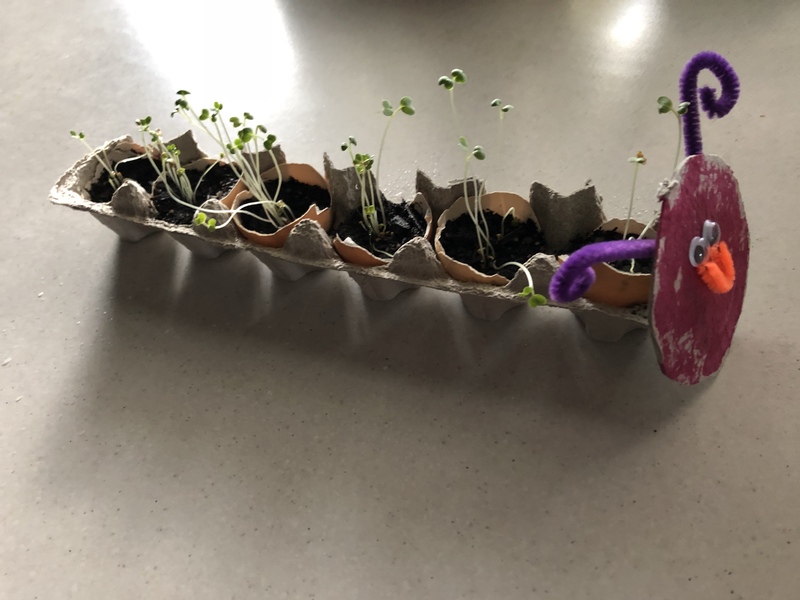 Each day we would turn our egg- erpillar around so the sprouts would grow straight. 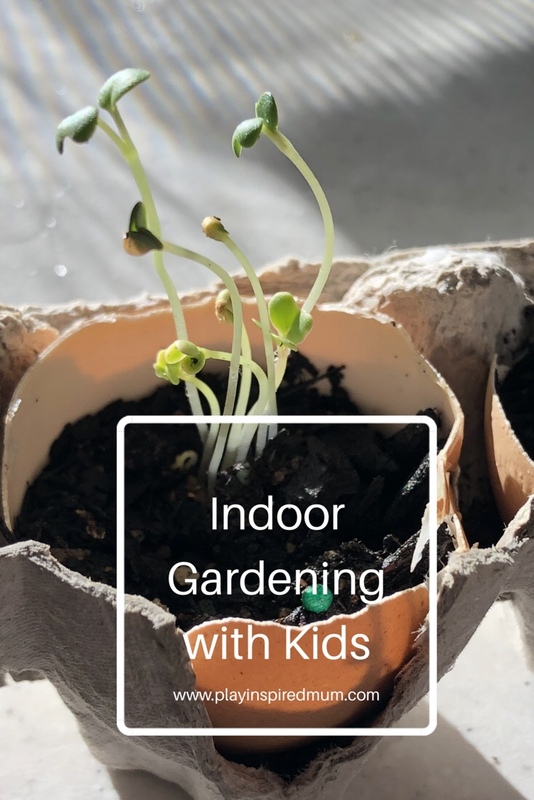 This opened up conversations about the basic needs of plants; food, water and sun. 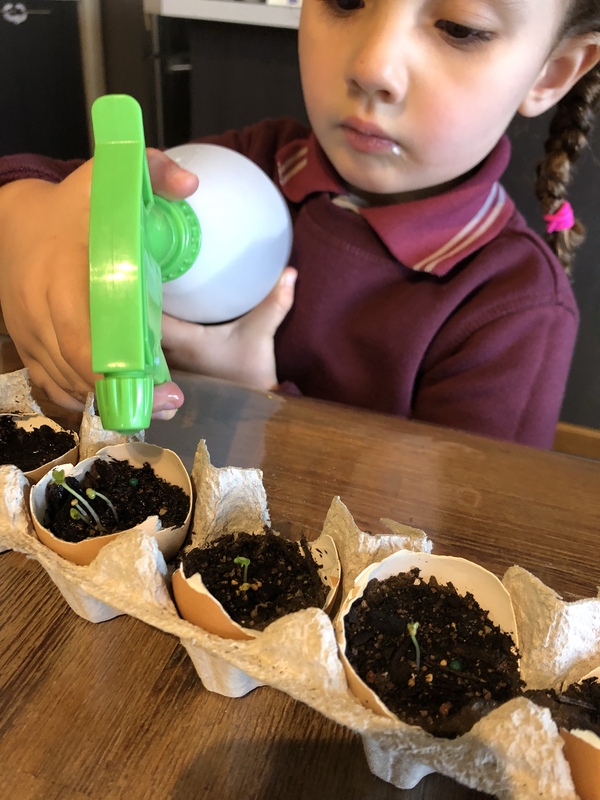 It was great to see the effect the sun had on our tiny plants and experience how sensitive they can be to the sunlight. 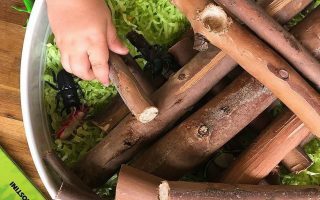 Upon completing the initial setting up of this activity, Miss 4 mentioned how much she enjoyed this activity. 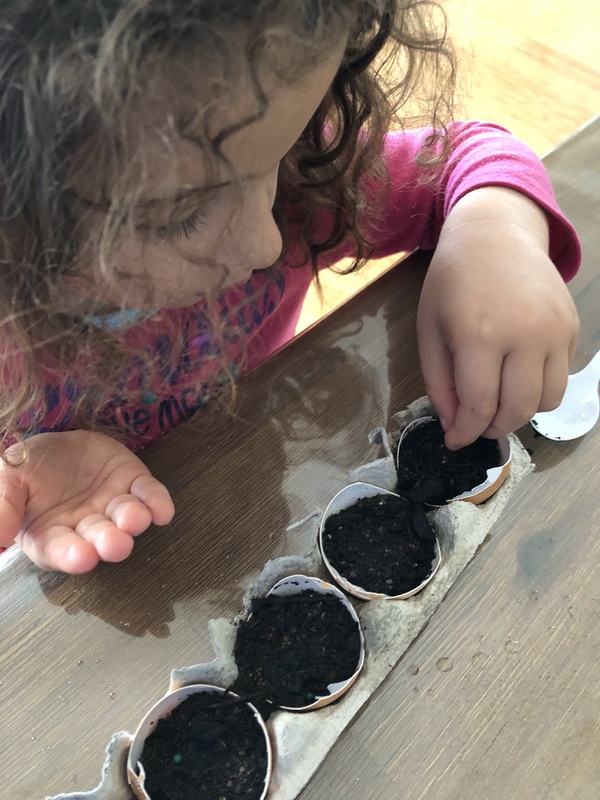 It was really rewarding to see the joy on her face when her patience and persistence was rewarded by those first few shoots poking through the soil. So many skills were practised within this activity. We will definitely revisit this activity again! 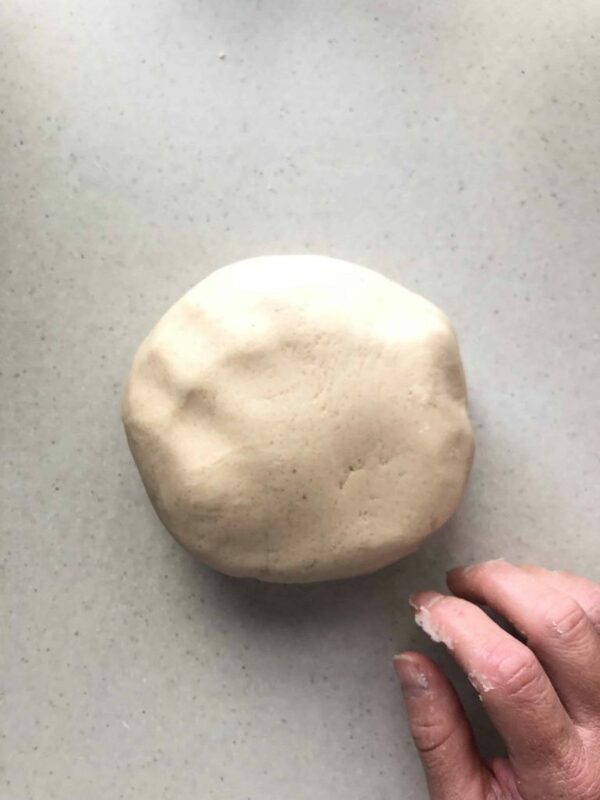 Next ArticleTaste Safe Milk Dough!